Are you looking for ways to Speed up your WordPress Site? Content Delivery Network AKA CDN for wordpress helps making your site Superfast by delivering static contents from servers that are near to the site visitors. I am using this CDN for more than one month. I have signed up and setup my WordPress blog with KeyCDN Content Delivery Network service in just 2 minutes. Yes, It’s very simple to setup KeyCDN on any blogging platform including WordPress, Joomla etc. KeyCDN provides 1 Month Free trial. 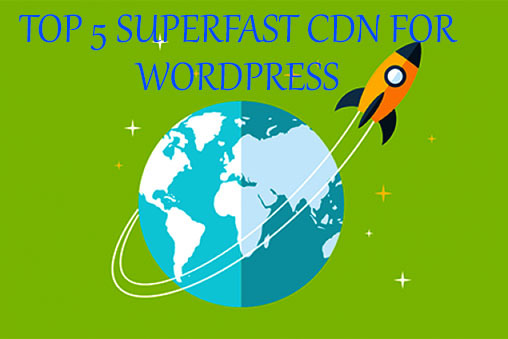 No credit card required and you will setup CDN and speed up your wordpress blog in no time. After using this CDN , my site’s Speed test performance boosted up from 79 to staright 95 out of 100. STEP 1: First signup on KeyCDN using this link to get 1 month free trial. STEP 2: Though no credit card is required for Free Trial you have to confirm your email address while signing up. STEP 3: Now go to KeyCDN dashboard. From KeyCDN Dashboard click on “Zones“. From General Zone Setting you have to write “Zone Name”. Please keep it short because it will be your custom server address from where the contents will be pushed or pulled. What is Push or Pull? 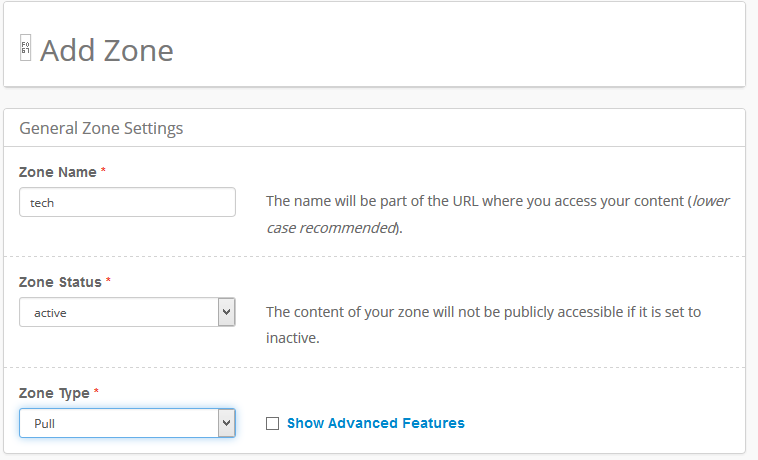 There are two types of Zone on KeyCDN i.e. Push and Pull. Push method is suitable for large files which you do not want to save on your own server. For Push method you have to manually upload all files. But we are going to use Pull method which is damn easy and will require only 2 minutes to set everything up. Hence select Zone Type >> Pull . STEP 4: Now we will configure Pull Zone Setting . Write your WordPress blog address for example https://techspree.net on Origin URL box. OK. Everything is done on KeyCDN side. Now wait 1 or 2 minutes to take your settings effective globally. When the Green Bar reaches 100% , your Pull zone will be ready for Global visitors. Was not this so simple? We use WP Super Cache plugin on our WordPress blog. KeyCDN works pretty well with any Caching Plugin. So if you are not using WP Super Cache , you can still setup KeyCDN with the Caching plugin you are using. We will show here how to setup KeyCDN with WP Super Cache Plugin . If you haven’t installed this plugin then install it from the plugin directory right away. WP Super Cache works perfectly fine and speeds up your WordPress Blog Loading Speed while configured with KeyCDN. Keep all other options as it is. The default values will be just fine. Step 3: Now check this option “Skip HTTPS Urls to avoid Mixing content errors” . If your site has SSL certificate then you can select this option to avoid Mixing content errors which is very common while using a CDN alongside https traffic. OK, Now everything is setup perfectly. Before you jump on your site and try to test the site loading speed. Make sure that you have cleared the Cache already. From WP Super CACHE plugin settings dashboard , click on “EASY” tab and select Delete cache . OK, Sparky!! All done! Let’s check your site speed now. We are going to review some more Free and Premium High Speed CDN for WordPress in this post as well. TechSpree Blog uses CDN77 for it’s better performance. It has several servers worldwide. It saved lots of our BandWidth cost with superfast CDN servers. It makes this site faster by using the server nearer to the site visitors. We use Rocket Caching plugin which also works best with CDN77. Just register and replace the images URL address from your caching plugin’s dashboard. It will be automatically loaded from the CDN77 servers. MetaCDN provides a truly global network via multiple unified CDNs. So Your site visitors will enjoy blazing fast speed while loading your WordPress Website. MetaCDN also routes automatically to the fastest network in that region. MetaCDN has High quality servers to serve your static WordPress Contents which has low latency and very reliable. 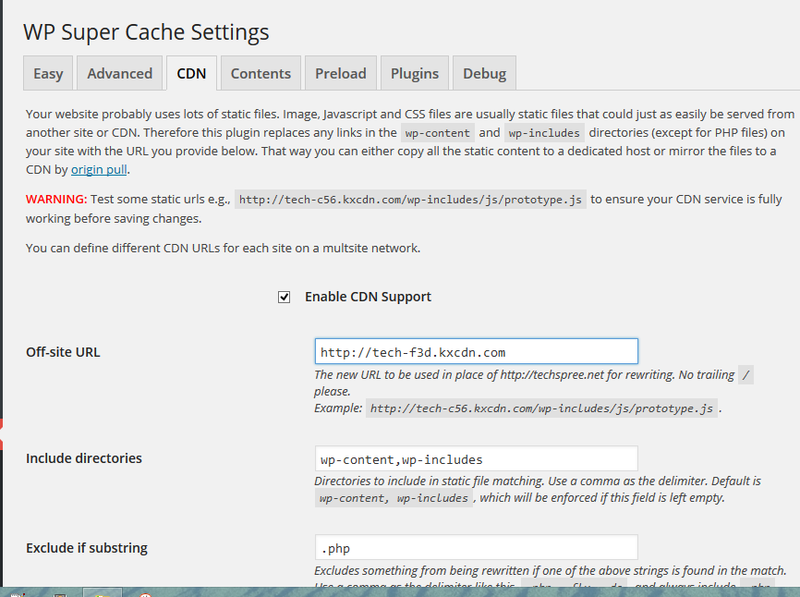 You can also integrate MetaCDN with any WordPress Caching Plugin for example W3 Total Cache or WP Super Cache plugin. MetaCDN also provides Push or Pull methods for your static content. Pull method is the fastest one to configure. 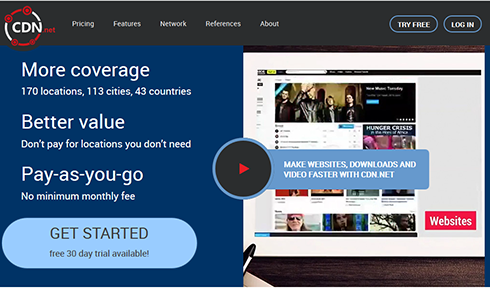 MetaCDN also has separate Premium service for Streaming HD videos. MetaCDN works very intelligently with WordPress site. You will enjoy 14-Day free trial. You have nothing to loss but to gain more in this trial. The procedure is almost the same for MetaCDN as we described earlier for KeyCDN. After signing up for 14-Day trial (no credit card required) you will get MetaCDN Accelerated URL (***.sa.metacdn.net) . Now from the settings of W3 Total Cache or WP super Cache , Enable CDN for your WordPress site and then paste the MetaCDN Accelerated URL (***.sa.metacdn.net) on Off-site URL box . For WP super Cache also add the MetaCDN Accelerated URL in the Cname field. Clear your Cache and you are done! Cloudinary provides best Free Content Delivery Service for your WordPress Images. Not only that you can also edit your images on the cloud and give different effects. Cloudinary is the most reliable CDN service for your wordpress Images. You can upload all images from your existing wordpress blogs to the cloudinary servers with only one click. First sign up here and install Cloudinary wordpress plugin from here. Remember the cloudname you have chosen while signing up because you need to enter it on the wordpress plugin later. Now upload this plugin and activate it. Cloudinary provides 2GB images for free on their cloud and you can also increase this storage size by inviting your friends to try Cloudinary CDN service for WordPress Images. I think Cloudinary will help many small blogs and websites to boost their site speed by integrating Cloudinary plugin on their websites. If you need more storage then you can Upgrade to any Premium plan anytime. Cloudflare is the most experienced Content Delivery Network available. Cloudflare is developing its CDN service for more than 15 years. Cloudflare has 15 data servers across the world just to provide the highest speed to the users from all over the world. 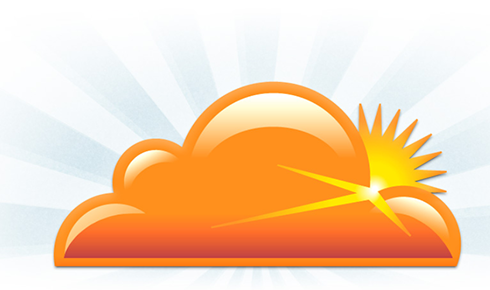 Cloudflare reduces hops and latency thus your visitors will see your contents are loading in super high speed. Always Online™ feature makes your site online even when your hosting server is down and shows cached version to the users. Cloudflare also works with any other CDN as a complimentary CDN for your WordPress sites. Cloudflare has both Free and Premium plans. After signing up install it’s WordPress Plugin from here . You will get DNS server address after your registration is processed. You need to change your DNS address from your DOMAIN setting panel though and it may take upto 12 hours to be effective. CDN.net provides Pay As You Go service plan so you won’t need to pay for any monthly fee. CDN.net has servers on 170 locations so your site will load in pretty speed from everywhere. You get 1 Month Free trial upto 1TB bandwidth to test their service. It has globally load balance feature that ensures maximum speed. You get DDos protection and on demand reporting feature with CDN.net. So these are the Top 5 Best CDN for WordPress you can start using right now. If you have any queries you can use the comment section below and don’t forget to like,tweet and share this post. If you know some better CDN service then please let us know. 7 Awesome Blogging Tools That Will Make You Insanely Productive! good share. I think i should be helpful for every wordpress user. Thanks for share this…..
Yeah? 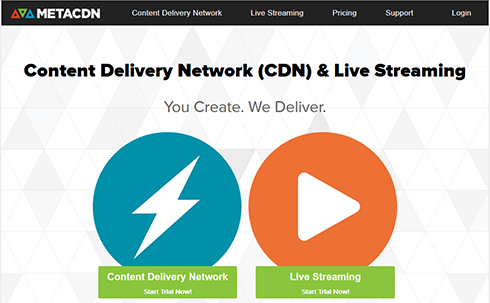 I highly recommend using CDN even if it is paid one, it is worthy. Trust me. Thank you so much for your comment here. Yes , CDN always makes your site blazing fast and I would recommend using one suitable for you. is CDN necessary for a blog where no image or media is being shared? I just share information in text only on my blog. Should i use cdn to make it more faster? No you won’t need it for text blog. But using Caching Plugin is a good move. Do you use WordPress? Thank you so much for leaving comment. Would you mind sharing some CDN for forums. I don’t have any blog, so it would be great if you suggest one. I currently don’t know any CDN for forums but I think a google search may help you find one. Thank you so much for your comment and have a great Weekend! Your site will be hosted on your main hosting provider. Cloudflare will just deliver the static files from their CDN servers that is near to your visitors location. It also has many security features. CloudFlare is the best CDN & security service for every site. Hello, thanks for the info. I’d personally recommend to use Edgecast CDN for a blog if it’s quite a big. Actually WordPress themselves have chosen Edgecast for their services. Sure, though Edgecast is not only for so big names as WordPress or Twitter. They have all necessary services that a regular webmaster needs for his website. With this content delivery network each webmaster can be sure his website is well-optimized, secured and as fast as it’s possible. Actually, it’s easier to buy Edgecast services from their resellers (Jodihost, for example) that offer all same advantages, but with no annual contracts and at very affordable prices. Maxcdn is best for WordPress CDN. It will be your site more fast and live all time. Thanks for your post . entetaining and you still take care of to stay it sensible.